GREAT LOCATION! 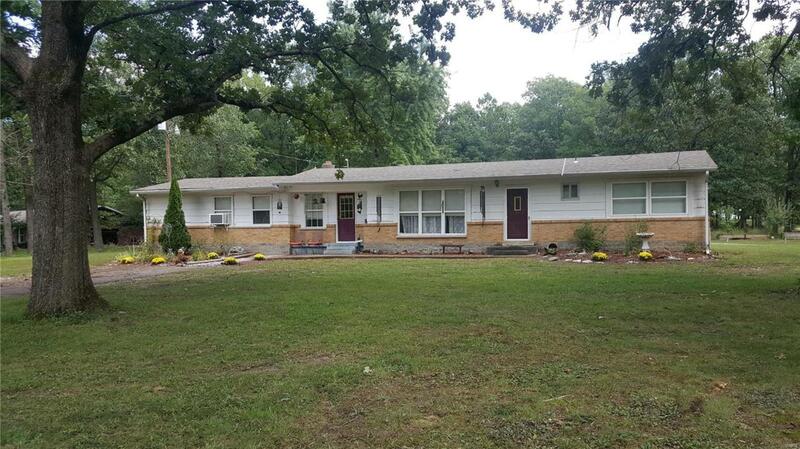 Spacious 4 bedroom, 2 bath ranch home on over 2 acres. There is room to move around in this large home with detached garage and chain link fenced area in back yard. The country kitchen is ideal for the home chef with custom cabinets galore, 2 ovens for baking (range is convection) and family dinners. The large living room has a shadow box wall looking into the entry way and separate dining. The master bedroom suite has walk in closet, walk in shower and accesses the laundry room. The front drive is paved with a pull in for 2 vehicles lined with beautiful perennials. The tall shade trees make a park like view in the front and rear of the property. The 2nd drive enters the rear with space for an RV, a shed with lean-to. Fruit trees and raised garden beds. Updates include: Hall bath completely redone; kitchen flooring, oak custom cabinets, counters and deep double black sink; Living room and small bedroom have redone hardwood floors; Dining Rm has had new subfloor & tile. Listing provided courtesy of Ozark Country Real Estate Llc. Listing information © 2019 Mid America Regional Information Systems, Inc.